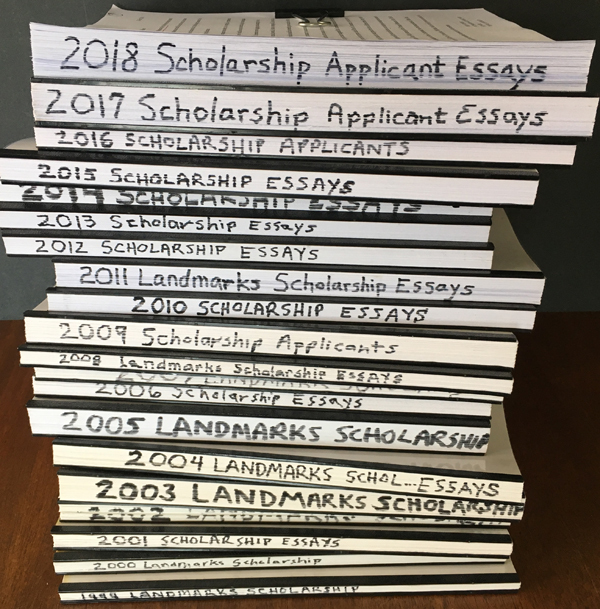 A record number of students––89 high-school seniors from 43 different schools in Allegheny County––applied to PHLF’s Landmarks Scholarship Program this April. During a private reception on Tuesday, June 19, from 5:30 to 7:00 p.m., the scholarship recipients and their parents will meet former recipients, Landmarks Scholarship Committee members, and PHLF trustees and staff. For further details, please contact Louise Sturgess, PHLF’s executive director. Since 1999, PHLF has awarded scholarships to 72 high-school seniors from schools within Allegheny County. The $6,000 scholarship is for book and tuition expenses and is payable directly to the recipient’s college or university. In addition, 14 Honorable Mention awards (a one-time gift of $250) have been awarded since 2016. 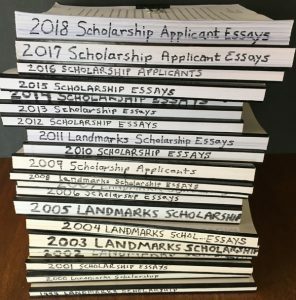 The essays that the students have written, describing places in Allegheny County that are especially important to them, are archived at PHLF and are well worth reading. PHLF’s Scholarship Program is funded by the Brashear Family Named Fund, the McSwigan Family Foundation, and the Landmarks Scholarship Fund, including donations to the 2008 and 2014 Scholarship Celebrations. “We welcome contributions from members and friends in this, our 20th anniversary year, to support our very successful program that has a profound and lasting impact on the students it has served and on PHLF,” said Committee Chair David Brashear. Please click here to contribute and direct your gift to “Scholarship Programs.” Thank you! Daniel Speer, from Upper St. Clair High School, who will be attending William & Mary College (History/Political Science). Zoe Vongtau, from Baldwin High School, who will be attending New York University (Global Liberal Studies).